Despite its venerable history as the whiskey made by , only a handful of distillers were bottling this quintessentially American spirit. And you definitely couldn’t order a rye Manhattan at your local cocktail lounge. 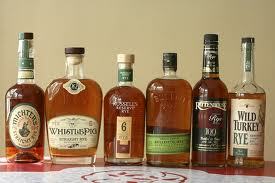 Rye lovers say the whiskey is spicier, edgier and less sweet than bourbon, which is made of corn. But few studies have actually looked at what makes American whiskeys unique — how fermenting rye versus corn changes the taste, aroma and mouth feel of the spirit.